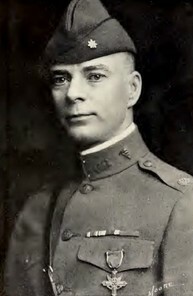 MAJ Ernest Slusher was a physician in Kansas City when he entered World War I as Regimental Surgeon, 140th Infantry, 35th Infantry Division. He served in the Vosges Mountains and battles in the St. Mihiel, Argonne and Verdun Sectors. Working with his regiment near Baulny during action of September 26-October 1, 1918, he was severely gassed. He continued at his work until he collapsed and was carried to a dressing station for treatment. Without authority, he went back to his regiment, working all night and into the next day caring for the wounded until he collapsed a second time. After he had partially recovered, he returned to duty in the field. Throughout his ordeal, he continually exposed himself to enemy fire. For his extraordinary heroism and devotion to duty, MAJ Slusher was awarded the Distinguished Service Cross. CPT Joseph Giacobello of Pennsylvania served in Company F, 137th Infantry and entered combat in July 1944 during the battle of St. Lo. He received the Silver Star for leading a patrol against heavy enemy fire while wounded. In September, he received his second Silver Star for assaulting a Moselle River dam and infiltrating enemy positions to obtain information allowing his battalion to secure the bridgehead. After his company commander was wounded, he took command and led an attack on the village of Hellimer where he was wounded, receiving his second Purple Heart. In December, he earned the Distinguished Service Cross when he and two enlisted soldiers assaulted an enemy-held factory and for three hours, fought a superior enemy force. 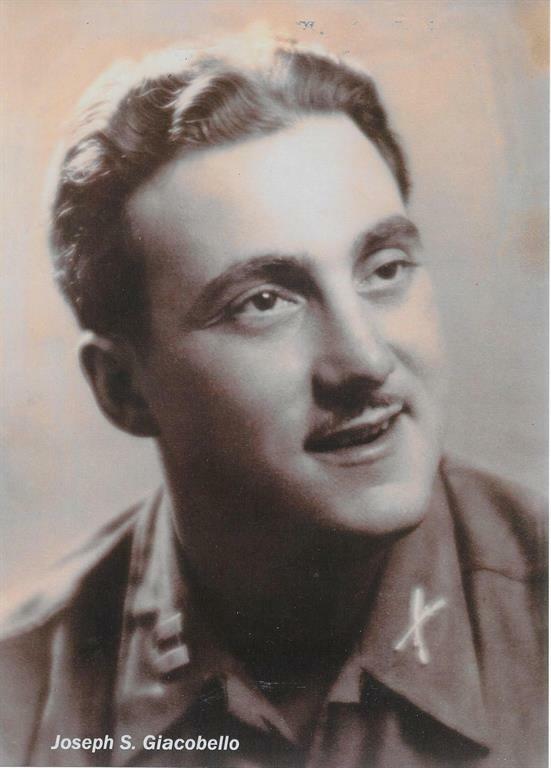 During the battle, CPT Giacobello killed two enemy soldiers in hand-to-hand combat. 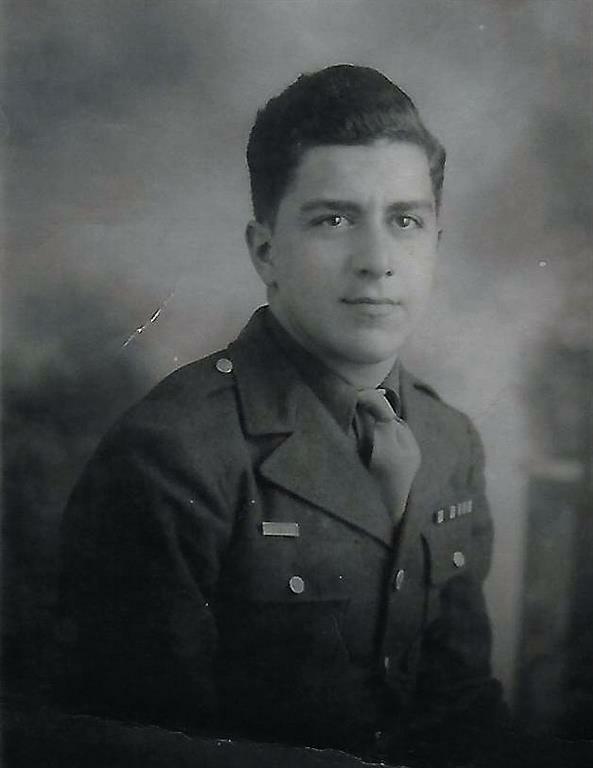 PFC Germano of New York served in the 320th Infantry Regiment, First Battalion, Company C (1943-1946). Aged 19 when he landed on Omaha Beach on July 6, 1944 his combat began in the deadly Normandy hedgerows. Fought in Normandy, Northern France and Rhineland Campaigns engaging in the bloody, hard-fought battles of St. Lo, Mortain, Nancy and Gramercy Forest. His battalion earned a Presidential Unit Citation for its rescue of the Lost Battalion, 30th Infantry, in a desperate fight against German tanks and SS infantry. For five months, he suffered the extreme hardship of combat against a fierce enemy until he could no longer walk due to trench foot that hospitalized him for four months. Among his many awards, are the Bronze Star, Combat Infantryman’s Badge and, from France, the Legion d’Honneur and the Croix De Guerre.